One of the things we often do is cut large pieces of steel into small bits and then weld them back together again in all sorts of interesting shapes. 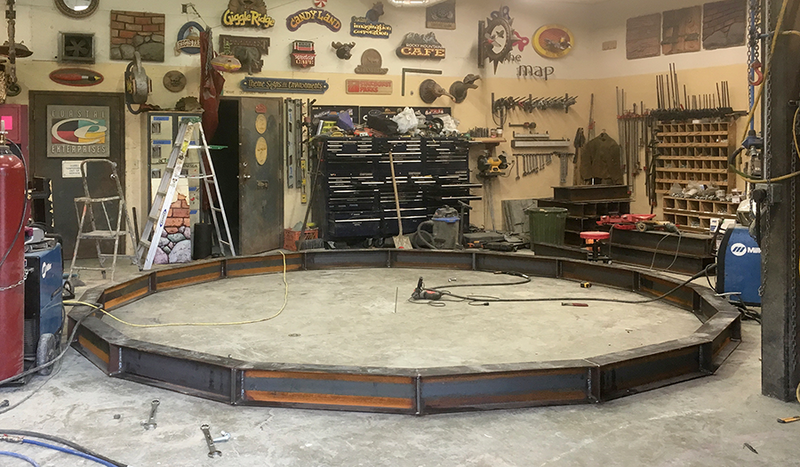 Today’s project was to weld the pre-cut I-beams into a giant circular beam which will hold up the roof of the biggest tower in the Copper Crown suite. We’ll soon be welding up a second large circular beam for the North Star suite as well as a bunch of other cool structural steel.